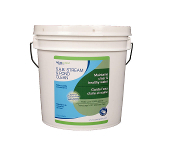 SAB Stream and Pond Clean maintains a strong biological balance, providing clean, clear and healthy water conditions. 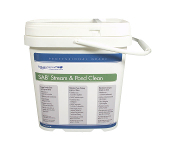 SAB Stream and Pond Clean contains pure strains of concentrated beneficial bacteria and enzymes. 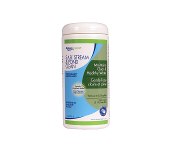 Ideal for breaking down debris in ponds, streams and waterfalls, this combination of natural cleaners helps to maintain a strong biological balance in your pond. Because ornamental water gardens are enclosed ecosystems, sometimes factors like fish load, uneaten fish food, organics such as leaves, sludge, unwanted debris or after-use of an algaecide or algae treatments may disrupt the pond's balance. Now containing 100% more phosphate binder. 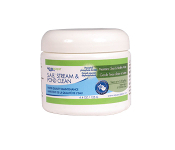 Reduces ammonia, nitrite and phosphate.